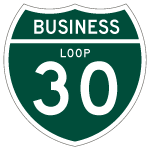 There are no remaining business loops for Interstate 30. The two-state freeway previously had two in Arkansas. 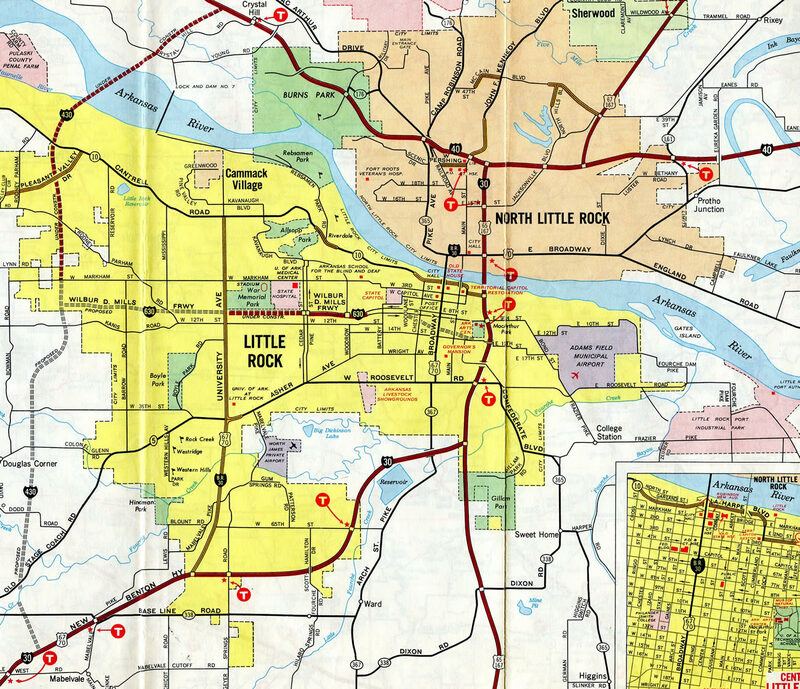 Business Loop I-30 for Benton appeared on Gousha maps of Arkansas from 1969 to 1996. The route appears to have followed old U.S. 67 & 70 between Exits 116 and 120. The 1970 USGS Quad map of Benton shows City U.S. 70 along a four mile route starting with South Street east from I-30 to Main Street in Downtown. The business route turned north onto Main Street and northeast along Military Road to rejoin I-30 via Lincoln Road and the frontage road system. 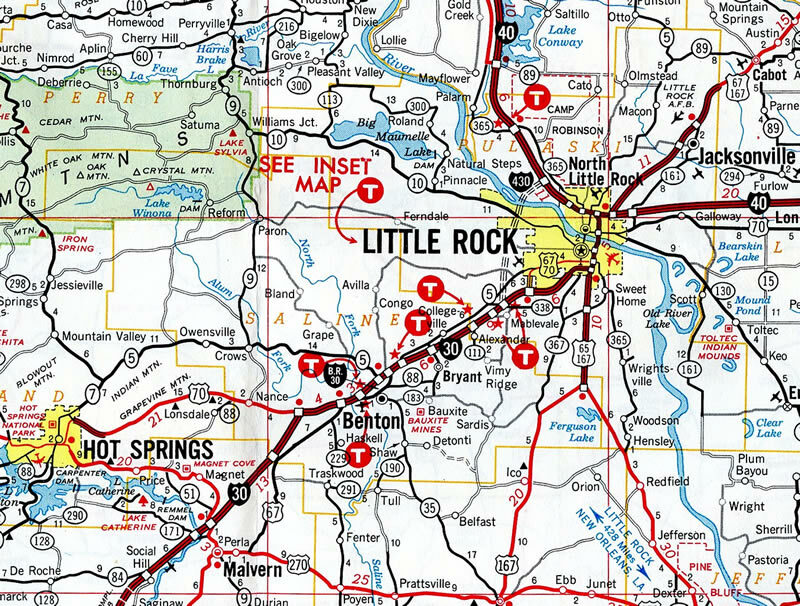 Business Loop I-30 through Little Rock and North Little Rock overlapped with U.S. 67 & 70 along a ten mile route. The business route initially traveled north from Exit 132 along University Avenue to Asher Avenue. Asher Avenue angled the three highways northeast to Roosevelt Road. East across the Union Pacific Railroad line, Business Loop I-30 & U.S. 67-70 traveled Roosevelt Road between the Wright Avenue and South End neighborhoods to South Broadway Street. Turning north again through the Governor’s Mansion Historic District, South Broadway Street led the three routes to Downtown and the Broadway Bridge across the Arkansas River. 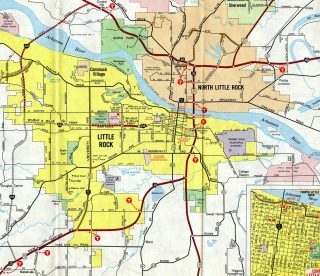 Within North Little Rock, Business Loop I-30 rejoined I-30 via West Broadway Street and the frontage road system at Exit 141B. Guide signs on I-30 at University Boulevard now reference the arterial as U.S. 70B, but shields posted along the route display U.S. 70 otherwise. The business route appeared on 1970s Gousha and AHTD maps. 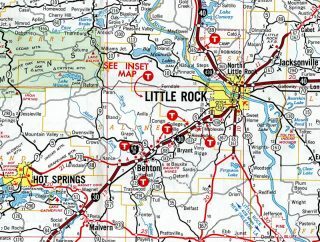 Business Loop I-30 remained on the AAA map of Arkansas until at least 2001. Page updated August 24, 2016. 1969 Gousha map of Arkansas showing Business Loop I-30 at Benton. The Little Rock and North Little Rock business loop for I-30 in 1972.